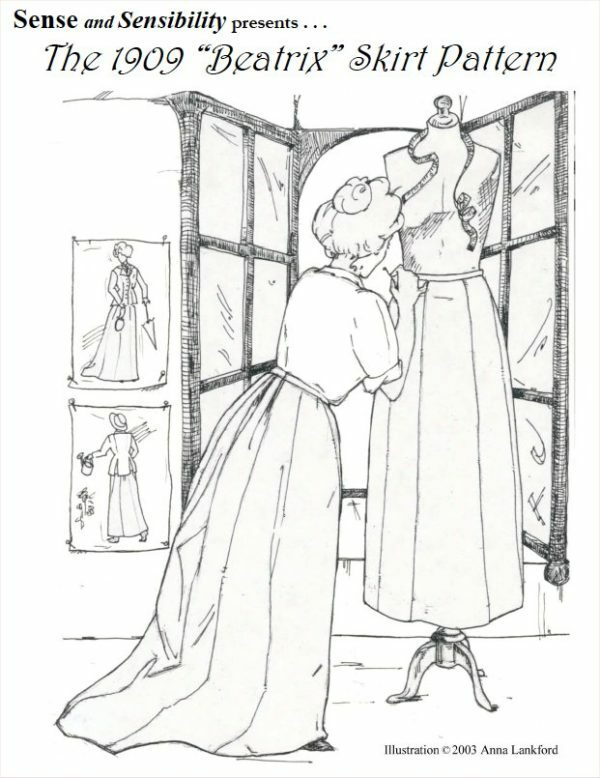 Created from an original 1909 May Manton pattern, this is my nine-gore “Beatrix” Walking Skirt pattern. 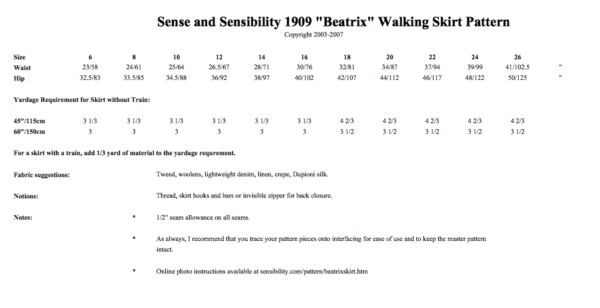 This pattern can be used with the Edwardian Walking Jacket or with the “Beatrix” Jacket pattern. The skirt has options for straight back and “habit” back, which has a demi-train appropriate for side-saddle riding! Both this skirt and the jacket were inspired by the example of Beatrix Potter, who managed a large farm, took care of animals, sketched, and watercolored — all while wearing sturdy tweed skirts and tailored jackets! Sizes 6-26 all included in one envelope! 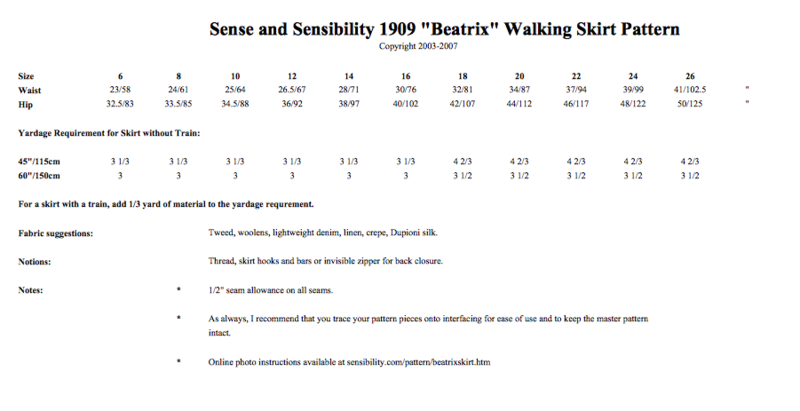 Includes options for pleated back or “habit” (straight) back, walking length or train. Combine this with the Beatrix jacket to create an authentic Edwardian riding habit! Perfect for side-saddle riders! Perfect for a beginner — all straight seams!